For more Same Scene, New View photos, click here and here. Hey Farmgirl! Will you make it through the winter without having to buy more hay? 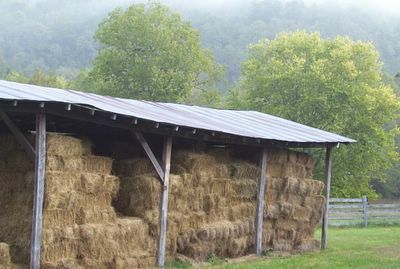 What a cool post :) Love it, the big barn o' hay is the pillar of strength at the farm. Just look at all the pretty hay! My parents live in the Ozarks. Your blog makes me want to pull up stakes and relocate. 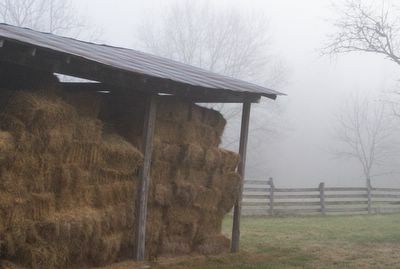 Mona, I love your comment about the "barn o'hay" being "the pillar of strength at the farm". I will be seeing my hay in a more poetic light from now on! Great shots! I guess you're using hay from the other side of the barn - those haystacks are identical! Have I told you lately how much I love your site? 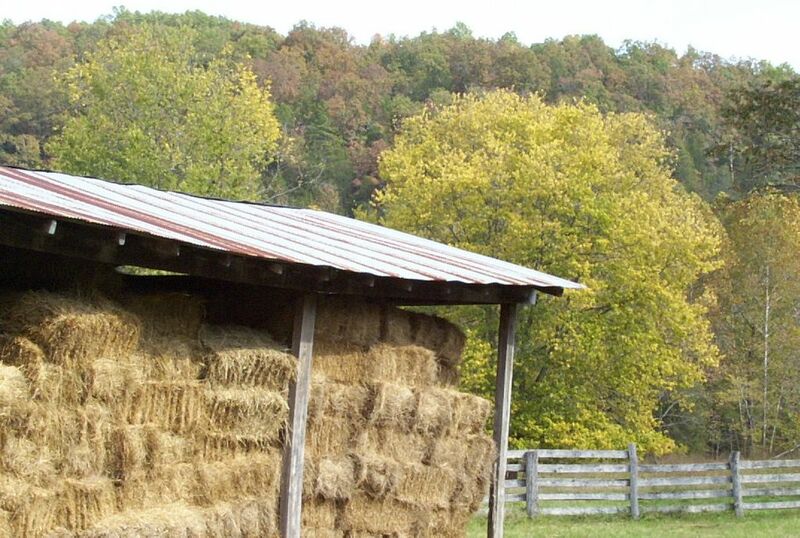 The seasons at your farm are so beautiful. So is the furry donkey. Sending you good juice from here, where our "winter" is a week or so of this rain. I always love this series and Jeff is so right. Isn't it wonderful when you suddenly realize (or are reminded) that something mundane is actually poetic? Thanks. 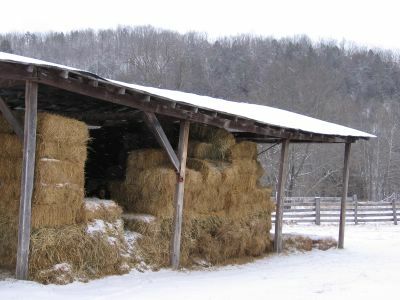 Well, we are using hay from the other side, and we didn't start feeding until December, so the hay in those first photos pretty much stayed the same (except for where the dogs knocked some down while cavorting in their giant hay fort). And did everybody find the hidden dog in the photo? Well at least somebody is nicely agreeing with Jeff about something. He's had a bit of a rough time over here this weekend, LOL. 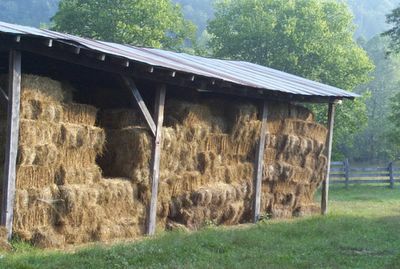 I like how you tell a story with your time sequence series of the same hay stack. I noted the before and after lawn manicure.